The first 5k run that I entered was the big fun run in Maidstone. 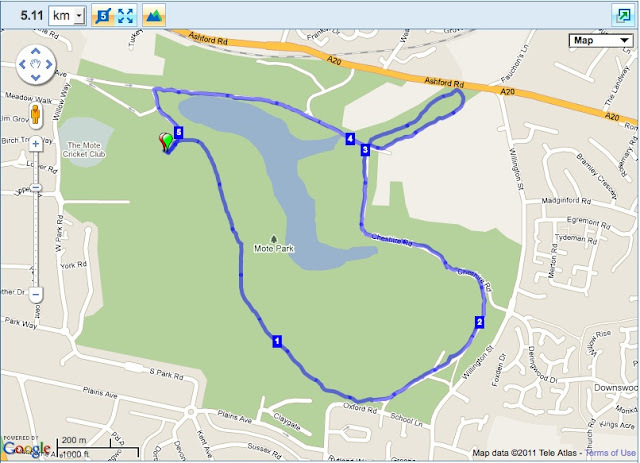 The course, in Mote Park, was very nice slightly undulating course. I finished in a time of 23.05. 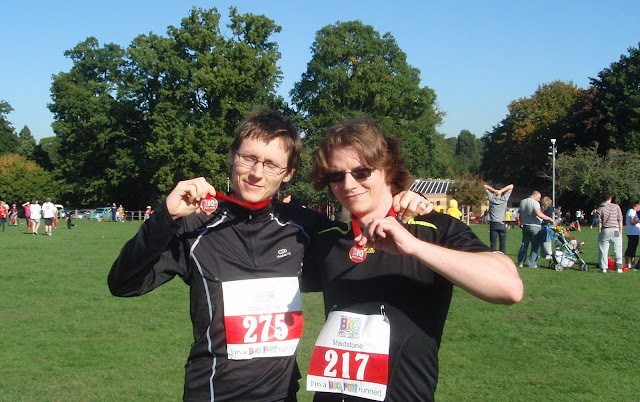 I'm pictured here with my brother, who ran the 5k in around 32 minutes - he's not a big fan of running. (I am 275 btw). EDIT: My wife set up a fund raising page for 'Count the Kicks' charity and we raised £60. Thanks to everyone who contributed.